So one scientist's opinion combined with anther scientist's opinion is supposed to carry more weight when compared to a group of scientist's opinion when they are all experts in their fields, why? I didn't state Solanki and Krivova's findings as fact. It was a possibility that I mentioned. This means that if the Wu et al. and Solanki/Krivova studies are to be believed, 63% of the warming over the late-20th Century should be ascribed to natural causes and only 37% due to anthropogenic sources. Solanki and Krivova are also towards the side of a minor solar contribution during the late-20th Century Warming. If solar effects are higher than a minor contribution during the late-20th Century, then an even larger portion of the late-20th Century warming may be due to natural factors. Solanki and Krivova are two of the authors of the magnetic flux model paper that you quoted a few posts back. This may be off the subject a bit; but isn't there some big magnetic storm from the sun heading our way right now? I'll be still here to bug you guys when I get the chance. Thank you. I've learned a lot from posting on TES and on this forum. This isn't TES, and I've always thought of you as nothing but a denialist troll. You are only allowed here to satisfy Wayne's wish to argue where no argument is necessary. This isn't TES, and I've always thought of you as nothing but a denialist troll. That's nice. Unfortunately that's not true since I am not a denialist, nor am I a troll. I agree that the planet has warmed and that humans have contributed to the warming. The question is how much of the warming is natural and how much of the warming is anthropogenic. The sun can impact climate through so many different ways, and has likely had a significant impact on Global Warming over the last 100-150 years, though it's uncertain to the degree of the significance. Carbon Dioxide has also impacted climate change, but the degree of significance with Carbon Dioxide is also uncertain as well. 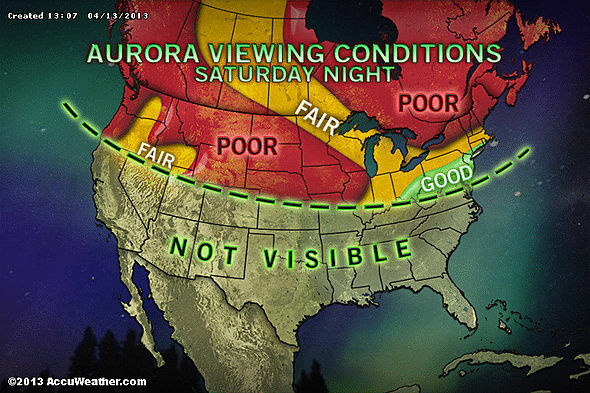 To answer Iowa's question, it does seem like as if the Northern Lights will be visible in portions of the country tonight. No, not in the least. Snowy is here because he wishes to be and has not done anything that would preclude such a thing. The thought that only people with a certain viewpoint should only be allowed is not what Josh, nor I for that matter, supports for this forum. Snowy has a few views I would question, such as hanging around with the likes of Iowanic, or myself, but that just show that he may just not know any better. I have saved some gold!! We have two denier loons who have only one agenda which is to destroy this forum and one of those loons you appointed as moderator. It is quite clear there agenda is to do anything to stop proper discussion on AGW including wherever possible to create as much confusion and trouble as possible. Even on WUWT that hold a standard that all discussions must be standard scientifically based it's that simple. I have been badgered repeatedly to carry “Slayer” articles on WUWT, and with the exception of one cartoon by Josh, I have refused to do so since I and science view the work (and its derivatives) as pointless and fatally flawed. Now we have reached the situation where we have denier loon realizes his mate isn't going to pull him up for anything and essentially posting garbage after garbage that he openly admits is not standard scientific. I have no problem discussing what science says about climate science but I draw the line at you being able to make up your own version of science. People coming here to learn and discuss AGW should not have to wade thru post after post that they are the dumber for having ever read. Perhaps I should start posting that aliens are causing AGW as that apparently will be perfectly acceptable. We have to have some norms some conventions that we adhere too every climate forum has too because the area seems to attract the loon factor. (from 5-19-12 post by uglybb) "
"YUP! They still have the denialist "snowlover" as a moderator(3 red flags or more), and erased the post above. Instead of being a beacon for driving necessary change, like all environmental sites should be, they are fast becoming a haven for global warming by humans denialism. People in favor of reduction of emissions, with green favorable reputation tags, have been banned, while others with red, bad, reputation flags are still there spouting lies and nonsense. " " Still, with the climate change section with a denialist as mod, the argument that should have been over long ago keeps going around in circles. Few people post in the taboo population section. Still, a lot of good environmentalists have been banned there while the denialists and advertisers have not been banned as they should be nearly as much. I have told the management that the posts should reflect scientists in 97% pro AGW versus 3% denialists, but they keep it more even. In the climate change section especially, you have to watch what you say or you get banned, while the denialists are allowed to rehash 6 year old arguments. You can only have an opinion in favor of AGW if you have supporting links, while the denialists can get away with just spouting garbage. So, to contradict them, you have to go back to the sources for debunking them from years ago, which is a big hassle. The people with a large amount of bad rep with red flags should be banned IMHO. Instead, the mod for climate change has a number of red tags showing most do not favor his posts. I even gave the site admin a neg rep for allowing it. I'm sure some of the red taggers would like to see me banned, and I have 8 green positive tags/flags." There is a bit of confusion here. were not tolerated. That went for both sides of the debate. I tried my best to be moderator. Being a moderator is a very difficult job to do, but I thought I did pretty well. TES did have some moderator issues, but Snowy was not the problem. There was one who used a double standard, wrote comments/replies to complaints indicating as such and was never corrected. Fabian requested those of us with issues to discuss them with the moderator, but that only works if the moderator does not realize they are using a double standard, will listen to critical input from others, and wishes to correct the problem. The latter two were missing in this case. I did have concerns with Snowy being a moderator, but not because of his views. As he found out, being a moderator is a thankless job for the most part. Sometimes it seems the way you know you are doing it correctly is when both sides of the debate are upset. This coupled with Snowy's age and experience were my concerns, but it turns out he did a better job than one of the older more experienced moderators. Also, since the subject has been brought up, some of the old TES people refused to join here just because we did not ban Johnny, whose views on some issues were not well accepted there before Fabian's take over of the board, resulting is his being banned more than once. That is true. The British do not like conservative green American views. I was banned as mgopilot more from politics than anything else, and with green flags of approval.. Then when you brought me back and I used Johnny Electriglide (my guitar name), I got a lot of green flags of approval before it was found out I was mgopilot, and banned again for the old stupid ban. A lot of people liked the fact that I had studied overpopulation and ecology since the 1960s. A lot of people liked the fact that I walked the talk, and was on the pro AGW side, bringing in valuable links. Also in the (over)population section, bringing in many links. Some were lost here when many of the old environmental threads were accidentally deleted. I think on the fact that they were also lost at TES. I liked this site because back then there was never any argument as to AGW and the threat it poses with a short period of time to stop the worst. Overpopulation was never a taboo subject here, but an accepted harsh reality. Denialist trolls came and got banned. So we don't see the great number of them that were there, here. Now there are a few, just to keep debate up on specifics, I suppose. Not enough anymore on specifics of what to do to stop ecocide. Josh did not ban anyone for their views, nor have I, but there were some who sought out reasons to ban those with which they disagreed and after that became known I have no idea because I took a hiatus from here because of it.